Let me start out by saying that I LOVE TO AUDITION! Why? I don’t really know I guess it’s just something you either love or hate. I see each one as a new opportunity to reinvent myself and to sharpen my skills as I interpret a new script (which sometimes I admittedly do get totally wrong but that’s part of the fun). It’s about testing your own limits and finding unique ways to deliver a performance that is memorable and that ultimately gets you the gig. Of course, before you can audition though you have to find casting calls aka breakdowns and submit yourself or get your agent to do it for you. I personally submit myself to dozens of opportunities every week and this article will detail how I find auditions for you. Backstage.com is a site that I am an on daily (usually multiple times per day). They give you the ability to define searches that fit your profile really well. You can restrict your search to just feature films and TV (or whatever you prefer) as well as how far you are willing to travel, paid v. non-paid, union v. non-union, and many more filters. Make sure that you are applying only for roles that make sense for you and that you have a complete profile with lots of pictures, videos, and your resume to share with casting directors or producers. ActorsAccess.com is another site that I am on at least daily. They offer fewer filters than Backstage.com but for one reason or another I book a lot of auditions through them. You generally focus on a geographic region (Texas in my case) and the same rules really apply here. Make sure you have a complete profile and that you have professional headshots and a resume to share with whoever is handling casting for each project. CastItTalent.com is a site that has some pretty big opportunities. I’d say you are more swinging for the fences with some of these but there are smaller opportunities there as well. I visit this one less frequently but do have a complete profile there and when I see a role that I am a good fit for I always submit. I get an occasional audition from here but nowhere near the quantity that I get from ActorsAccess and Backstage. ShortFilmTexas.com is another free site if you live in Texas that will allow you to stay on top of casting calls in Houston, Austin, Dallas, and throughout the great state of Texas. I also subscribe to their email list to give me another way to stay on top of opportunities that fit my profile. FaceBook.com is a GREAT way to find audition opportunities. Just search FaceBook for casting calls and you will find tons of hits. 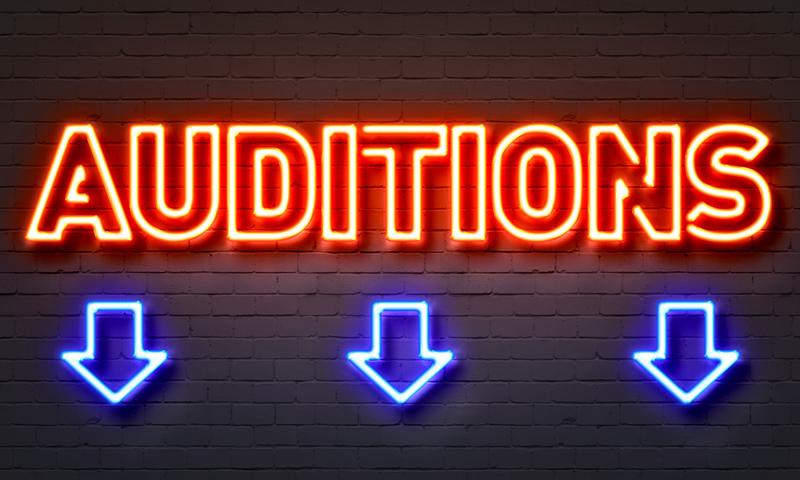 In addition, you are very likely to find FaceBook groups that you can join that are in your area (or wherever you are targeting to get auditions). Keep networking as much as you can. I try to always stay in touch with actors, directors, and producers that I have worked with on projects. I genuinely want to know how they are doing and I’m always looking for opportunities to help them or make introductions for them which maybe some day they will be in a place to return the favor (if not, that’s perfectly okay). I think this may be the best source of auditions out there. I can’t possibly thank my friends enough for all they have done to help me stay busy. If you are like me and want to stay busy with auditions then you have to put in some work to make that happen. In addition, I highly recommend that you stay as targeted as possible with the opportunities that you submit to. I don’t think it helps you in the long run to become known as the person that will submit to anything. I think if you really feel you can play the part given the brief description (aka breakdown) then go for it, but otherwise move on to the next opportunity. The last thing you want to do is waste a casting director or producer’s time (they will most likely remember that). The key to getting more auditions is staying on top of them and submitting your information as early as possible in the casting process. Be diligent and of course be on time and never bail on an audition without a very good reason that you communicate in advance. You definitely want to be an actor they can count on to show up and deliver a professional audition. A good reputation can go a long ways!